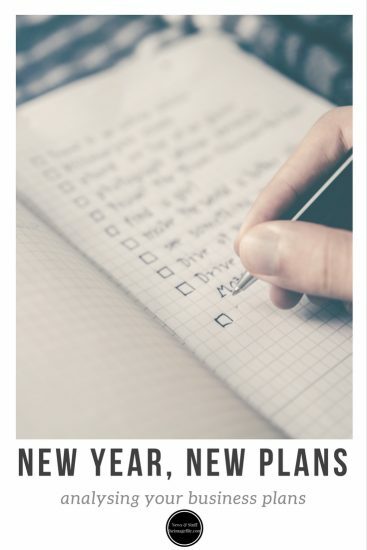 New year, new plans. It is easy to be negatively critical of your business. Sales and general performance are key indicators. Being critical is healthy and what needs to happen to stay lean and progressive. Equally important is to recognise the good things that happen as well. What’s really working well, irrelevant if they directly affect your profit or not. As with the rest of life, the end of the year and the start of a new one presents everyone with a chance to assess all that has gone before. Streamline some of it and place some goals in front of themselves. If you can prioritise some time to do this each year, no matter how busy you may be, it will prove to be a very useful exercise. Maintaining the positive outlook from your early days is perhaps the hardest thing to do when faced with many small, mundane business challenges. Remember why you started. As a photographer, you are quite used to following your passion, something many people do not do in their professional lives. As your business grows and you get sidetracked, it might be easy to lose focus on why you got into photography in the first place. Reflect on these reasons. Whilst considering your business wins and losses; it will likely inform your future direction. Customers and audiences. Assess the data about your customers and who they are. It is extremely important. Your marketing has to be in line with the people buying your products. If it is isn’t, you have to ask yourself if you are trying to target a different group. This may be because you are not happy working in a particular field and subconsciously want to work with another group. Similarly, you need to understand where your business is if you want to target a new type of customer. Do not alienate your core customers. This also applies to the audiences you have subscribed to your newsletter or follow your social feeds. Accentuate the positive. Maintaining the positive outlook from your early days is perhaps the hardest thing to do when faced with many small, mundane business challenges. This harks back to the first point about remembering why you started. The key to a successful pattern is being positive about your work and keeping things fresh. If certain things are not working, they must be stopped or changed. Lessons learnt. Identifying the jobs that have not gone so well and taking away the sometimes painful lessons from those experiences will help you grow. Failing to learn from these will only develop bad habits. These will grow into business-ending ones; if you’re not careful. Change. But not too much away from your plans. Unless you are going for a complete 180-degree change of focus for your business – i.e switching from weddings to wildlife – then try not to enforce too much fundamental change to your plans. Better to tweak and adjust. If your invoicing systems annoy you, trial a different software system while keeping your existing system in place. You may find your current one is not as bad or you may fly with a new one like Light Blue. Try the same approach with new suppliers. New ones will often give you great deals to trial them out. Have a go, but not too much in one go. New logo and branding. Again, try these out on your social media groups. You will quickly gain honest feedback from people who do not know you. The speed of feedback will enable faster decisions and less dwell time.